In a Major development after the NJAC Judgment, President of India has appointed 22 Additional Judges in various High Courts. Justices (i) Smt. 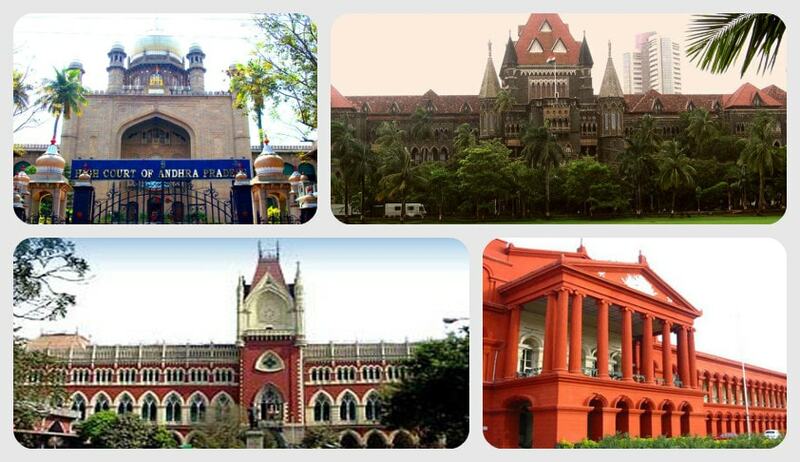 Samapati Chatterjee, (ii) Shri Sahidullah Munshi, (iii) Shri Subrata Talukdar, (iv) Shri Tapabrata Chakraborty, (v) Shri Arindam Sinha, (vi) Shri Arijit Banerjee, and (vii) Shri Debangsu Basak are appointed as Additional Judges in Calcutta High Court for a period of three months with effect from 30th October, 2015. Earlier the President has appointed Justices (i) Shri Arakalagudu Venkataramaiah Chandrashekara, (ii) Smt. Rathnakala, (iii) Shri Budihal Rudrappa Bhimappa, (iv) Shri Pradeep Dattatraya Waingankar, and (v) Shri Koratagere Narasimha Murthy Phaneendra, as Additional Judges of Karnataka High Court, for a period of three months with effect from 24th October, 2015. Justices (1) Shri Bulusu Siva Sankara Rao, (2) Shri Mandhata Seetharama Murti, (3) Shri Saripella Ravi Kumar, (4) Shri Upmaka Durga Prasad Rao, (5) Shri Talluri Sunil Chowdary, (6) Shri Mallavolu Satyanarayana Murthy, (7) Shri Misrilal Sunil Kishore Jaiswal, (8) Shri Ambati Shankar Narayana, and (9) Smt. Anis, are appointed as Additional Judges of High Court of Telangana & Andhra Pradesh, for a period of three months with effect from 23rd October, 2015. Justice Shri Vijay Lakhichand Achliya, is appointed as an Additional Judge of the Bombay High Court, for a period of two years with effect from 21st October, 2015. Though the term ‘appointed’ is used in the official notification, the above Judges have been working as Additional Judges in the respective High Courts and their term was actually extended by the order of the President President. There were conflicting media reports about the appointment of Judges after the Constitution Bench had declared the National Appointment Commission, unconstitutional.